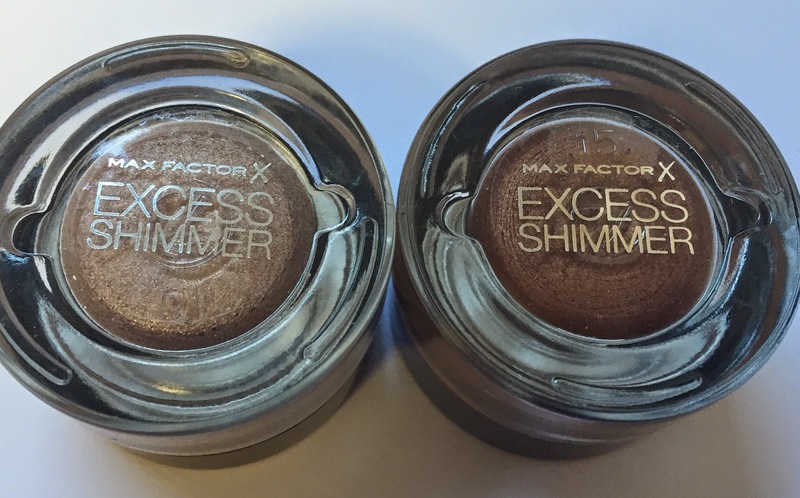 I picked up two of the new Max Factor Excess Shimmer pots from Boots at the end of October when I happened to stumble across them on the website. 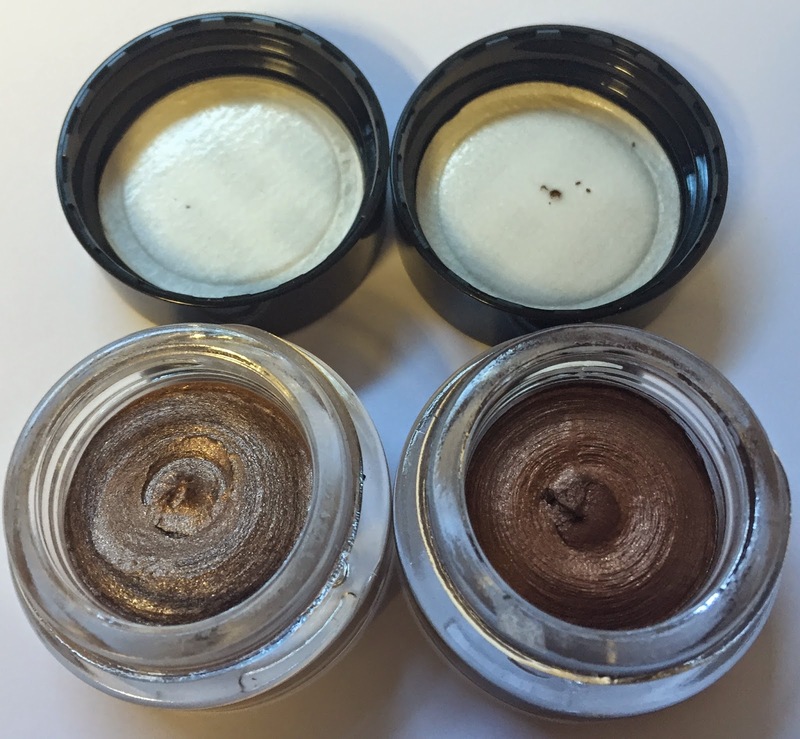 At the time, I hadn't heard of anybody else using these, and I hadn't a chance to swatch them in the flesh, so I took a blind leap of faith and ordered two of my favourite cream shadow base colours in Copper and Bronze. They arrived in record quick time and I have been using them a bit over the last few weeks and I am now ready to spill the beans. These "cream" eyeshadows have the softest texture I have ever come across- kind of like really really soft, almost melted butter. In texture, they in no way resemble the MAC Paint Pots, Benefit Cream Eyeshadows, Stila Smudge Pots or Maybelline Colour Tattoos. They are not as whipped as the Bourjois Cream Eyeshadows, and they do not dry to a powdery finish like the Chanel Illusion d'Ombre offerings. The jist of what I am trying to say is that I know of nothing that compares to these. As you can see from the swatches above, they are PIG-mented, cannot take that away from them. 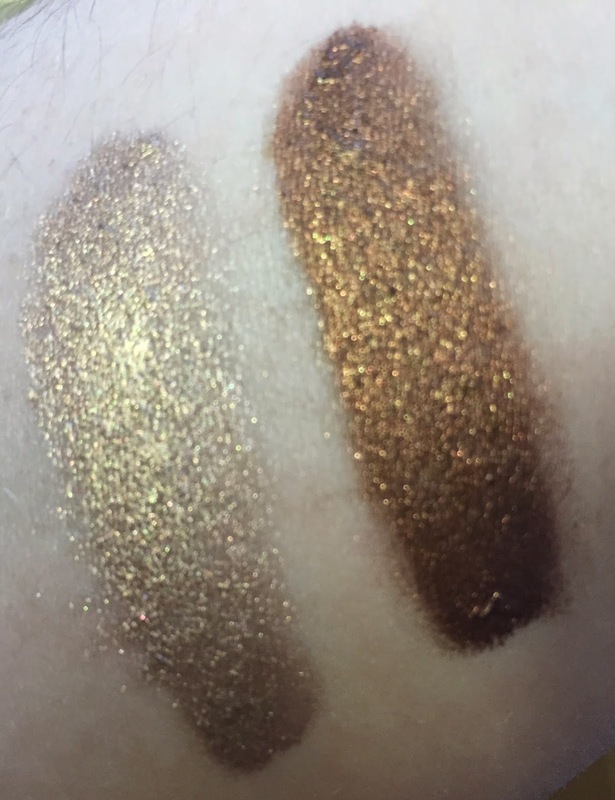 The colours themselves are gorgeous- I particularly love the Copper colour and the Bronze is a far more bronze shade than my previous favourite shade of bronze which was the Maybelline Color Tattoo in On and On Bronze. These are a little messy to apply with your fingers due to the texture of the creams and I did use a brush to distribute the product over my eyelid. 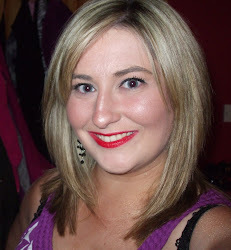 Once they set, they did set- HOWEVER- they will crease if you apply too much product and do not set with a powder. I don't often suffer from creasage but I did suffer with these until I started using them as a mere wash of colour over the lid before applying other shadows. I love them for this, but I am somewhat disappointed that these will not be lone rangers like so many of my other cream eyeshadows. I do like these, and I would consider getting another colour now that I have more realistic expectations of what to expect. If you are looking for the next generation of Maybelline Color Tattoos, these products are not for you in my opinion. However, if you are looking for something new and different, get thee to thy nearest Boots to sample said treasures. €9.99 a pop and as far as I know, there are 6 shades available! 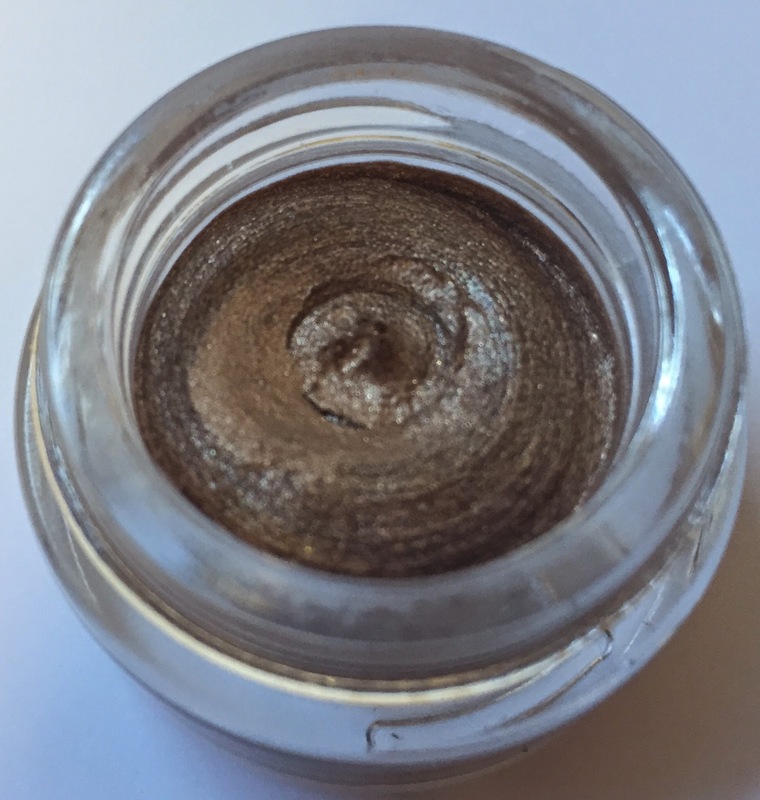 Have you tried these Excess Shimmers yet? What did you make of them? I have these two shades aswell and have to agree with your review - I haven't had them too long, but they are definitly best used as a base and seem to be a bit on the messy side to apply.